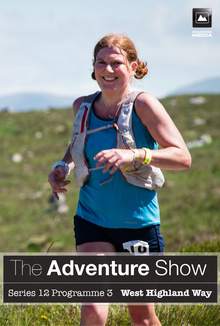 The Adventure Show is at one of Scotland's most prestigious events, the gruelling West Highland Way race, which runs from Milngavie, on the outskirts of Glasgow, to Fort William. The Adventure Show is at one of Scotland's most prestigious events, the gruelling West Highland Way race, which runs from Milngavie, on the outskirts of Glasgow, to Fort William. This 95-mile route takes most walkers a week to complete, but every year over 100 hardy runners turn Scotland's first official long-distance trail into an unforgettable ultra-marathon, with the fastest completing it in under 15 hours.